Powerful UV sunscreen surface treatment! Helps to minimize mildew problems by keeping surfaces clean and dry. 100% prevention of UV caused slow-fade! Dries to a smooth, matte finish - no oily or greasy residue. 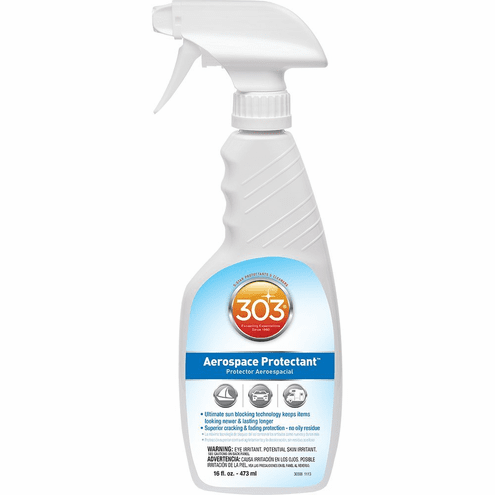 Spray product out of direct sunlight onto surface and wipe completely dry with a clean, dry microfiber towel.